Beretta's new polymer duty Pistol is ready to make its mark. 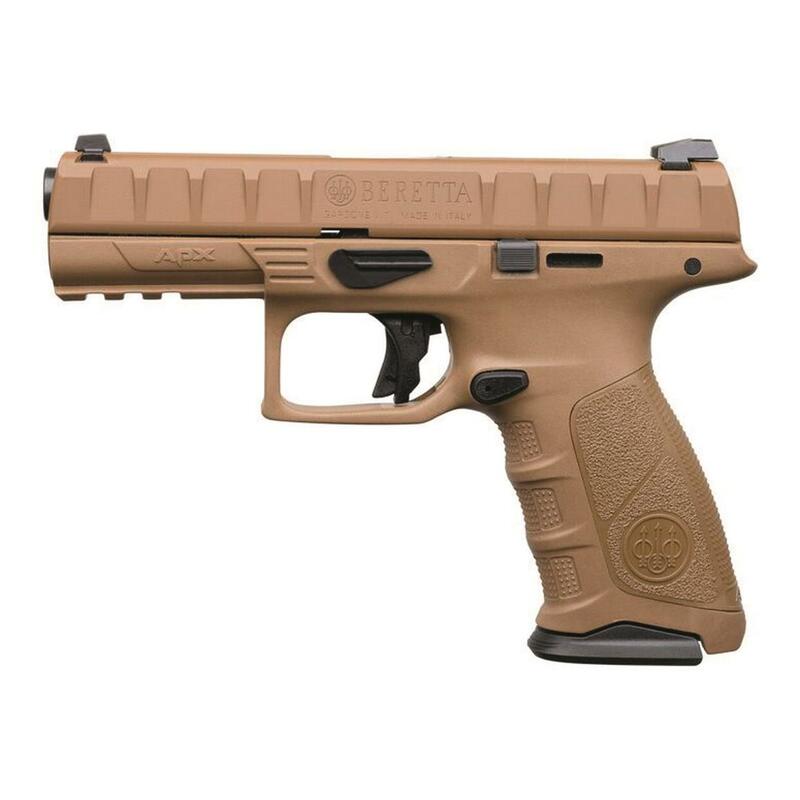 Designed specifically for military and law enforcement operators, the APX has been put through extensive testing and evaluation at the professional end-user level. The result is a pistol that delivers superior performance and ergonomics, classic Beretta durability, a fantastic trigger, and modern modularity. Utilizing a removable, serialized chassis frame, the APX can be easily modified with replaceable grip frame housings, and is simple to disassemble and maintain. Each APX comes with 3 interchangeable back straps — so whether your hands are big or small, it'll fit beautifully. Aggressive full length slide serrations make slide manipulations easy under any conditions. 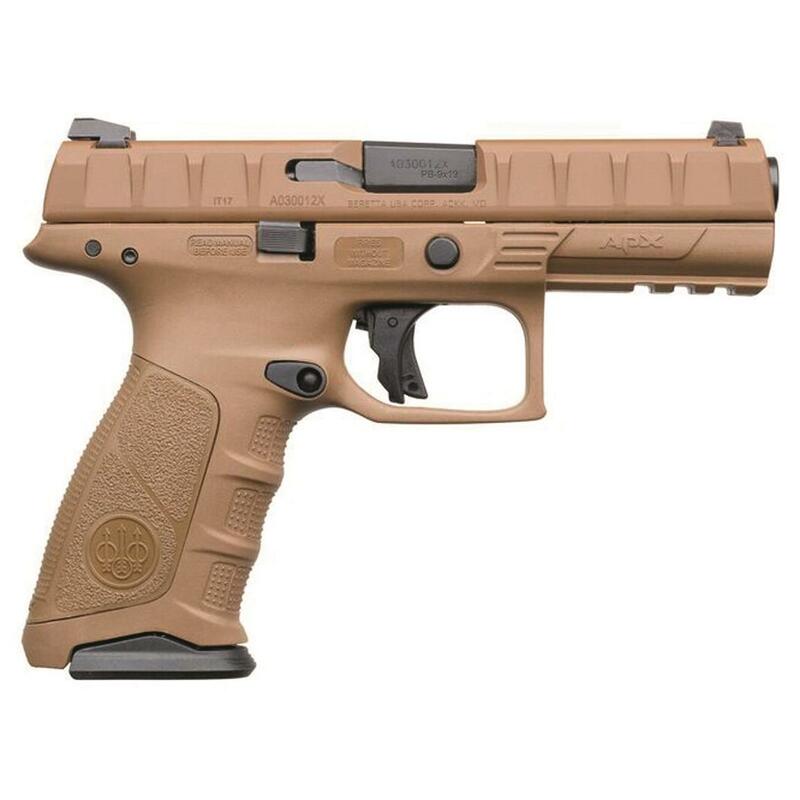 To accommodate right or left-handed use, the APX’s magazine release button can be easily reversed, and the slide stop is ambidextrous. The grip texturing hits the sweet spot, offering plenty of friction without shredding your hand. The trigger guard accommodates gloves, and houses a clean-breaking 6-lb. trigger that offers very short, tactile, audible reset. Some nice touches — like a large magazine baseplate for easy manipulation, and a striker deactivator that lets you take it down without pulling the trigger — complete the package, making the APX a full-featured offering that's ready for battle. 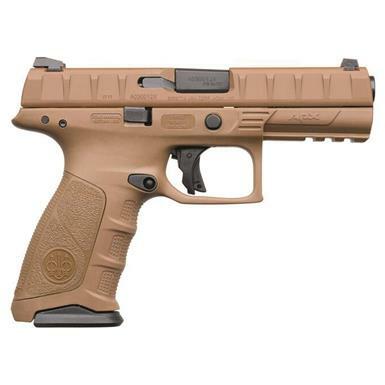 Beretta APX FDE, Semi-Automatic, 9mm, 4.9 Barrel, Flat Dark Earth, 10+1 Rounds is rated 5.0 out of 5 by 1. Rated 5 out of 5 by jarheadjim from You cannot go wrong with a Beretta. Although I have not been to the range yet, the overall construction plus the heft of the weapon is good. I have another Beretta APX so I know how it shoots and it is a very nice weapon.